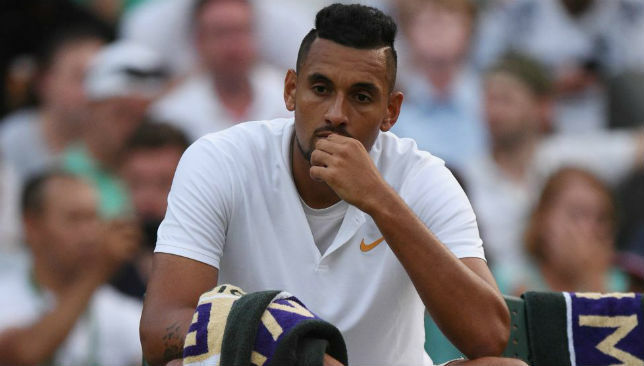 Former Wimbledon runner-up Mark Philippoussis has advised fellow countryman Nick Kyrgios that talent alone won’t help him reach the top and he “needs to step it up”. The Australian has not managed to get beyond last-16 of a Grand Slam since making the quarter-finals at the Australian Open in 2015. On Saturday, Krygios was knocked out by Kei Nishikori in the third round at Wimbledon, after losing 6-1, 7-6, 6-4. 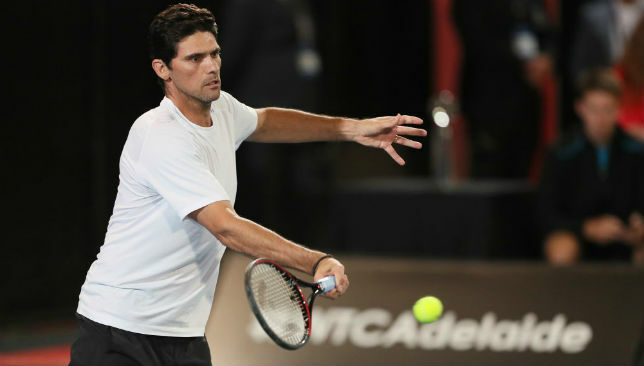 “Nick is part of the next generation and the whole conversation but he will have to step it up,” said Philippoussis. “He has got all the talent in the world, everyone knows that, but just having talent alone won’t get you there. “It’s very important to improve other things – to get strong mentally and physically. Those are the two areas he would agree that he needs to improve. Philippoussis believes Kyrgios, 23, should see fellow young tennis star Alexander Zverev as a role model. The German is ranked number three in the world and has eight titles to his name. “Zverev has the whole package,” added Philippoussis, 41. “With his mind and work ethic, he’s the one I have my money on. Meanwhile, Philippoussis was full of praise for 36-year-old Roger Federer, who is chasing his ninth Wimbledon title. “It’s incredible that he’s still playing,” said the Australian on the 15th anniversary of his loss to the 20-time major winner in the 2003 Wimbledon final. “I have so much respect for the guy in that he’s as hungry as ever. 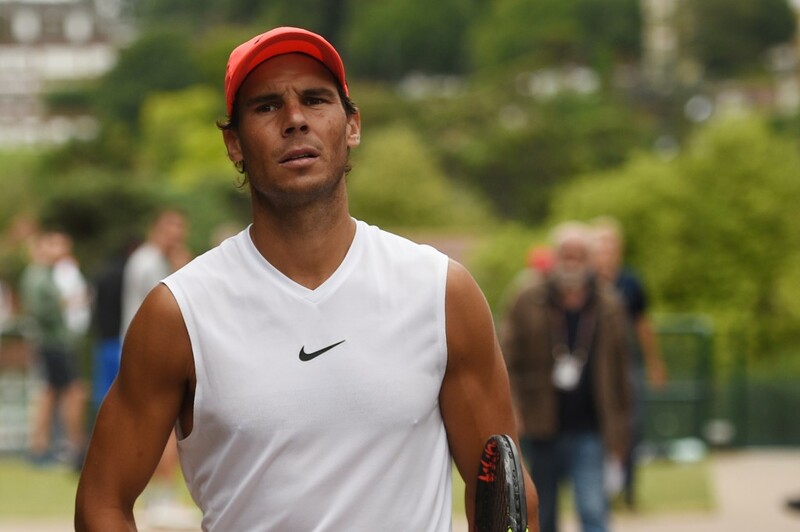 After making five consecutive Wimbledon finals between 2006 and 2011 — and winning two of them — Rafael Nadal had a tough time getting back there. He had lost prior to the quarter-finals on each of his last five visits to SW19, as knee woes hindered his chances on the grass, and power-hitters blew him off the court. But on Monday, Nadal booked himself a spot in the Wimbledon quarter-finals for the first time since 2011, defeating Czech lefty Jiri Vesely 6-3, 6-3, 6-4 to set up a mouth-watering showdown against No. 5 seed Juan Martin del Potro. “Of course is an important result for me, no? Yes, that’s all. Of course, is important for me to be in these quarter-finals. Is true has been a while since I have been in that position,” said Nadal. “At the same time I have been in that position a couple of times in my career, no? We are not talking about already that I played a final or I won the tournament. We are talking about I am in quarterfinals. That, of course, is a positive result. 3 – Nadal is bidding to do the Roland Garros-Wimbledon double in the same year for the third time in his career. Bjorn Borg achieved that feat in three consecutive years (1978-1980). 4 – Nadal has now reached 4 consecutive Slam quarter-finals for the first time since he reached 11 straight Slam quarter-finals between US Open 2009 and Roland Garros 2012. 7 – years since Nadal was last in the final-eight at Wimbledon. 16 – Nadal is on a 16-match winning streak – a stretch that included title runs in Rome and Roland Garros, prior to coming to Wimbledon. 18 – Nadal is targeting an 18th Grand Slam title, to close in on all-time men’s leader Roger Federer, who has 20. 35 – Grand Slam quarter-finals Nadal has now reached. 40 – Nadal has won 40% of the return points against his opponents’ second serve so far this tournament – the highest percentage among all quarter-finalists. 78 – Nadal has a 78.3% (65-18) winning record on grass throughout his career. 84 – Nadal has won 84% of his net points (66/79) – the highest percentage among all quarter-finalists. 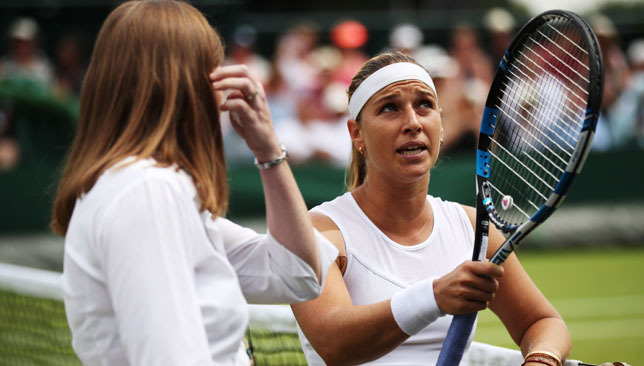 Cibulkova wasn't happy when the referee changed the umpire's decision.